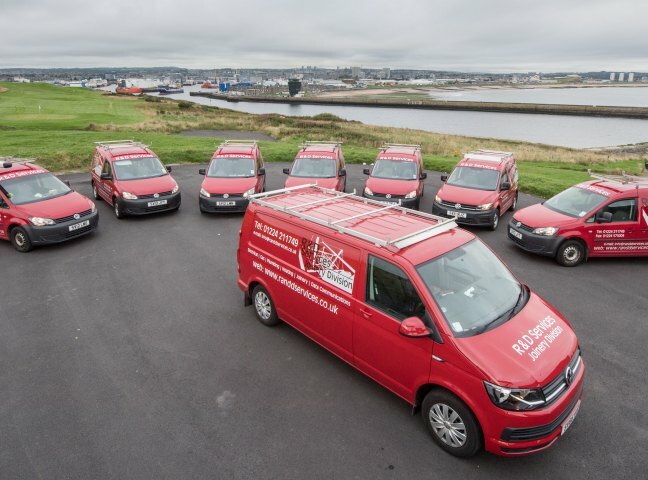 From humble beginnings in Aberdeen and one van supplying plumbing and heating services, the company now operates throughout the North-East of Scotland providing a range of trades services to domestic and commercial clients both on and off-shore. Throughout our history we've been dedicated to providing excellent customer service and maintaining the highest standards of professional accreditations. 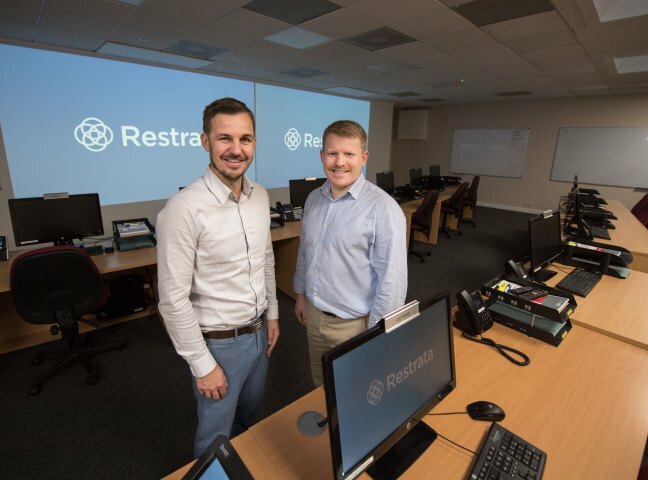 Over the years the company has grown organically and through acquisition with the buyout of John Hay bolstering and consolidating the company's position in the region. 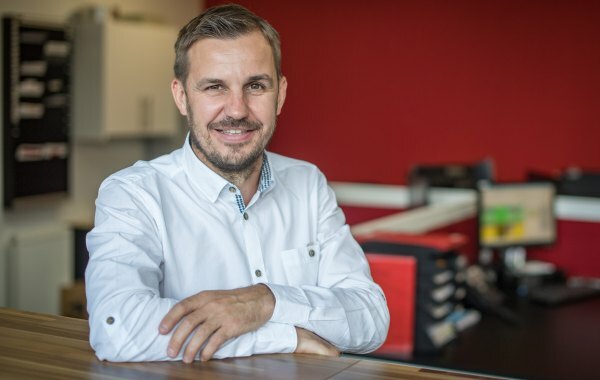 Founded in 1979 by Raymond Colville, R&D Services is still a family run business and today employs close to 20 people specialising in many trade discplines and areas of expertise. Chris has been with R&D Services for 20 years and is currently the managing director. Primarily responsible for the overall strategy and direction of the business, Chris also oversees major multi-discipline commercial projects and ensures optimum coordination of the engineers' schedules. As a crucial contact point for customers, he oversees the general day-to-day running of the business. Elaine is the office manager and is primarily responsible for the the maintenance of the accounts and the financial aspects of the business. While undertaking duties in her high-paced role including processing payments and invoicing, Elaine also oversees the administrative side of the company. 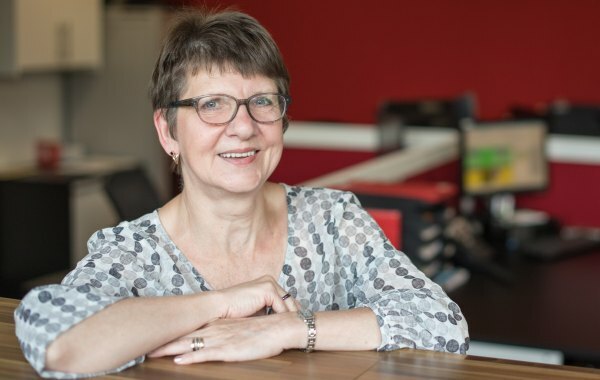 Elaine has been with R&D Services for over 25 years and her contributions to the smooth running of operations on the financial side are invaluable. Raymond Colville is the founder of R&D Services and started the business over 40 years ago with only one van. 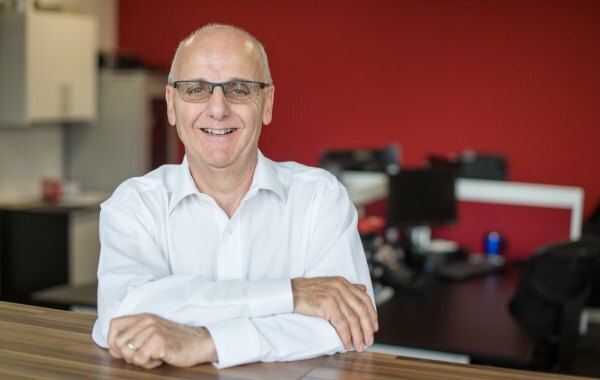 From his vast experience, Raymond still plays an active role in the day-to-day running of the business, providing guidance and advice on projects. 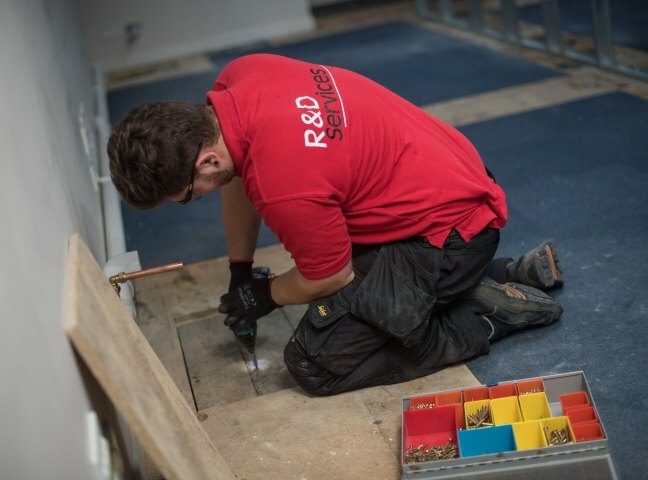 Moreover, Raymond is happy to go on the tools when and as required during our busiest periods in order to ensure that we uphold our high standards of customer service. Malcolm, an electrician by trade, is the business' electrical supervisor and is responsible for coordinating commercial and domestic works. Malcolm ensures that our electricians respect the highest technical and safety standards during every job to ensure customer satisfaction. 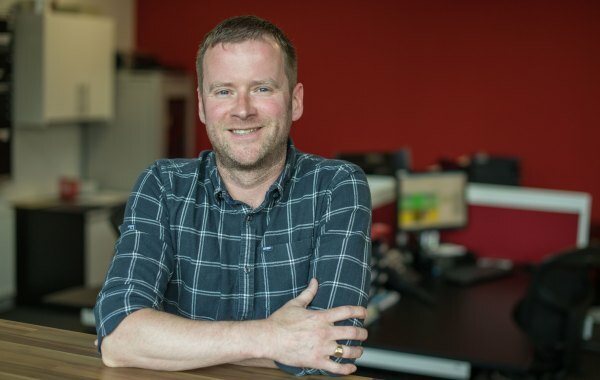 Malcolm has been with R&D Services for over 15 years and plays a pivotal role in ensuring that activities on the electrical side of the company run in an efficient manner. 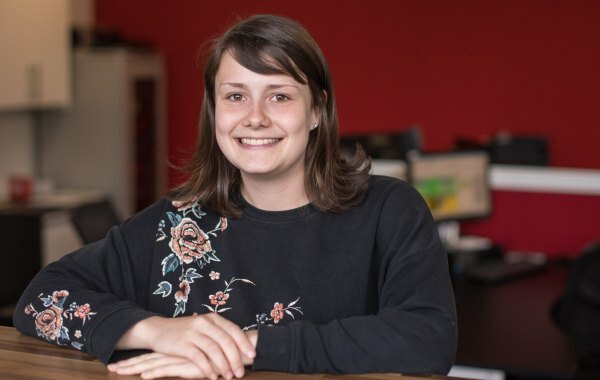 Hannah is an office administrator and is responsible for a variety of tasks including handling customer queries, programming jobs and processing supplier invoices. A crucial go between for our staff on site, suppliers and customers, Hannah plays a critical role in ensuring our operations runs smoothly. Our customers are the most important people in our business. With every job we take on we do so with the aim of providing only the best service possible acting in a professional manner, solving issues promptly and satisfactorily if they arise. As a business, we take all appropriate measures to ensure the impact we have on the environment is kept to a minimum. Our clean energy commitment means we act and provide our customers with solutions that are designed with the environment as a key consideration. Operational integrity is critical to who we are. We endeavour to maintain total honesty throughout our projects, providing customers with realistic goals and milestones and treating every query, no matter the size, with complete care and attention. Our employees are integral to our success and many of our key staff have been with us for more than 20 years. We are proudly committed to bringing through the next generation of talent and maintain a highly regarded apprentice programme. We also make sure we maintain key industry accreditations and links to ensure our customers receive the highest levels of technical expertise. 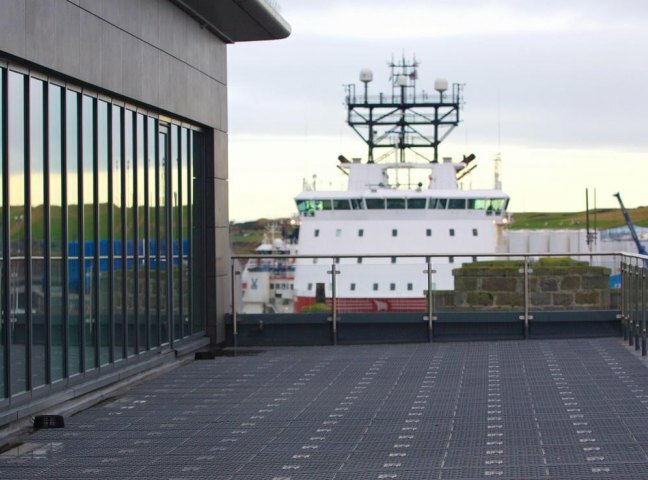 "Working with Chris and the team at R&D Services has been of huge benefit to the operations of Waterloo Quay Properties and in particular their work on re-working our electrical and lighting system in our fitness centre which has increased efficiency, saved cost and decreased our carbon footprint." Looking to get your project off the ground? Need more than one service? We've got you covered. Could you be saving money on your energy bills? Try our calculator and see.